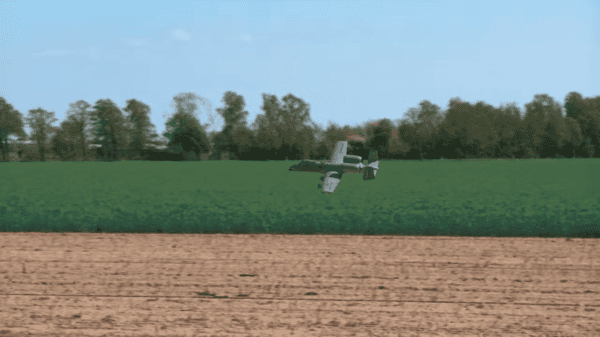 A radio-controlled aircraft (often called RC aircraft or RC plane) is a small flying machine that is controlled remotely by an operator on the ground using a hand-held radio transmitter. The transmitter communicates with a receiver within the craft that sends signals to servomechanisms (servos) which move the control surfaces based on the position of joysticks on the transmitter, which in turn, affect the orientation of the plane. Flying RC aircraft as a hobby grew substantially since the 2000’s with improvements in the cost, weight, performance and capabilities of motors, batteries and electronics. A wide variety of models and styles is available. 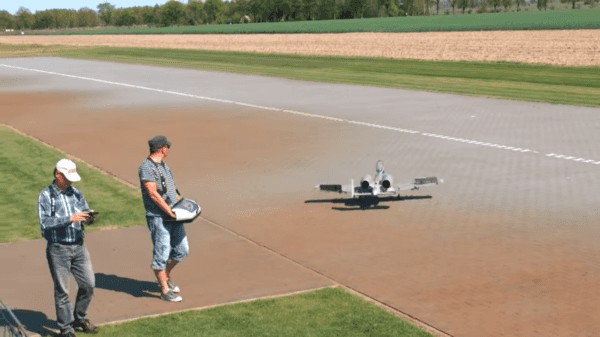 Scientific, government and military organizations are also using RC aircraft for experiments, gathering weather readings, aerodynamic modeling and testing, and even using them as drones or spy planes. Here we have an RC scale model of the beloved A-10 Warthog. Truly a thing of beauty.